– Displaying temperature and humidity of all locations onto LED display panel. – Alarming for temperature, humidity, or water leak by SMS, email, local siren. 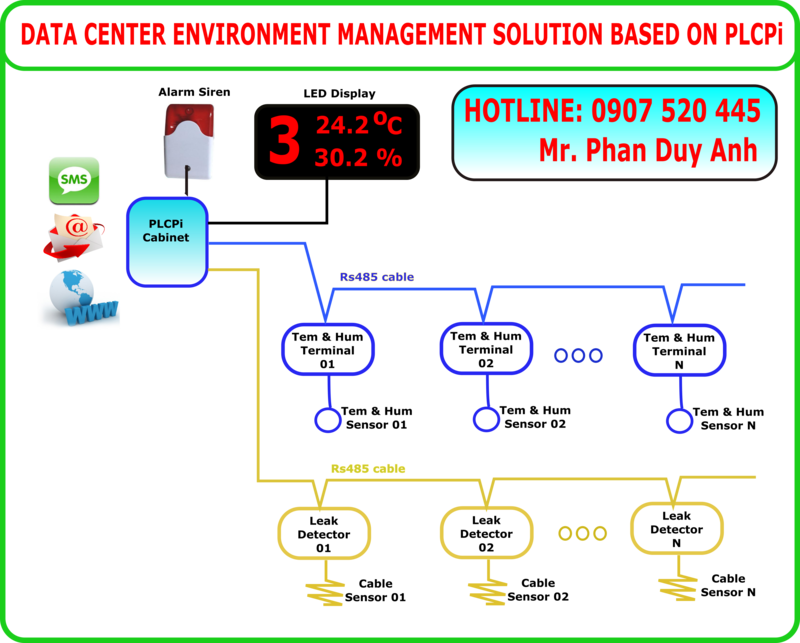 – Monitoring and alarm viewing on the web set up on PLCPi.